For the 2018-19 school year, there are 118 top public schools in Hillsborough County, New Hampshire, serving 59,403 students. Hillsborough County, NH public schools have a diversity score of 0.26, which is higher than the New Hampshire average of 0.16. 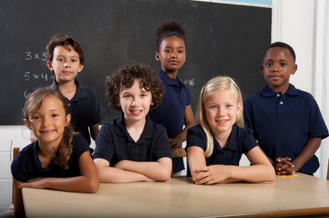 The most diverse school district in Hillsborough County is Microsociety Academy Charter Of Southern Nh School District. Read more about public school diversity statistics in New Hampshire or national school diversity statistics. Minority enrollment is 22% (majority Hispanic) and the student:teacher ratio is 13:1. Grades: K-1 | 210 students Foundry St.
Grades: 1-5 | 221 students 22 Library St.
Grades: PK | 196 students 555 Auburn St.